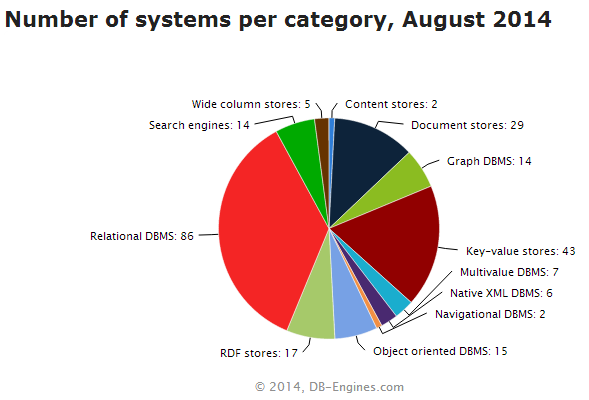 Nabeel's Blog: [Aug 2014] What kind of DBMS are currently being used/built? 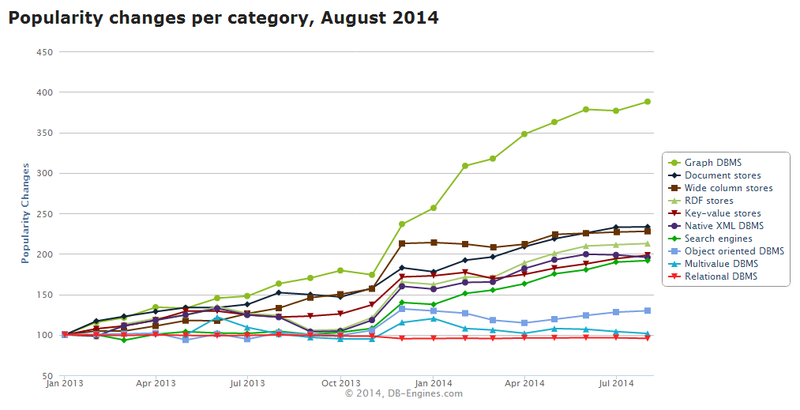 [Aug 2014] What kind of DBMS are currently being used/built? As you can see, there is an increasing popularity towards non relational database systems. I was surprised to see the graph DBMS curve. But then again, the rise of sensors and connected devices, which produce so much graph data, should be no surprise to see the above trend. In the chart above, it may give you the wrong impression that organizations are moving away from relational RDBMSes. However, that is not the case. 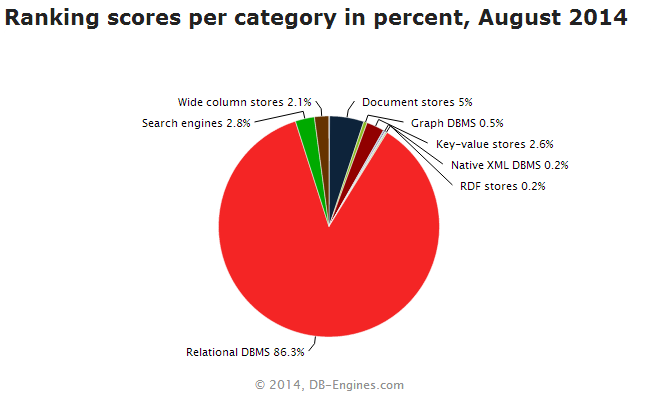 All DBMSes except RDBMS together makes only a small market (around 10%). Therefore, small change in popularity for non relational DBMS is very visible. To confirm this fact, look at the chart below. Still RDBMS rules the world! IMHO, it will remain this way for the foreseeable future. I encourage you to visit db-engines.com to see more drilled down stats.